Mary Anne assists companies with mergers and acquisitions, sales of businesses and other strategic opportunities. She represents a number of private equity firms, as well as operating companies, in structuring, negotiating and administering investments in early- and later-stage companies. 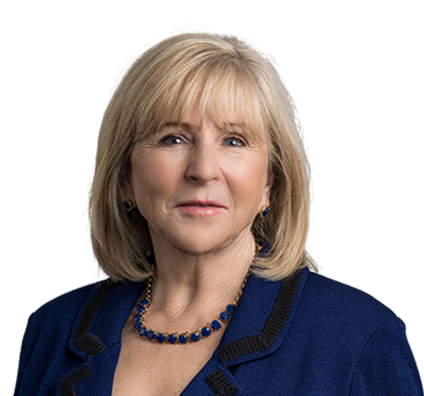 Mary Anne also advises public companies on securities law and governance matters and works with clients on private placements of securities. She has been recognized by a number of organizations for outstanding mergers and acquisitions and corporate work, including recently being named as one of the “Top 100 St. Louisans You Should Know to Succeed in Business.” Mary Anne is a member of the firm’s Partner Board. Led dozens of acquisitions and sales of manufacturing and distribution companies for private equity funds, ranging in size from $1 million to more than $100 million. Advised numerous family-owned businesses on structuring sales and selling to outside industry players. Assisted with numerous angel and venture capital investments, representing recipient companies and venture investors. Counseled manufacturing companies on sale and recapitalization transactions. Assisted with several public equity and debt offerings for Fortune 1000 manufacturing companies. Represented publicly traded U.S. companies of all sizes on compliance with SEC reporting and other regulations and corporate governance matters.